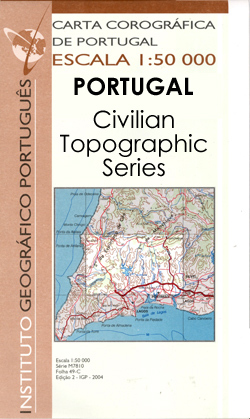 Topographic survey of Portugal at 1:50,000 from the Instituto Geográfico Português, the country’s civilian survey organisation. 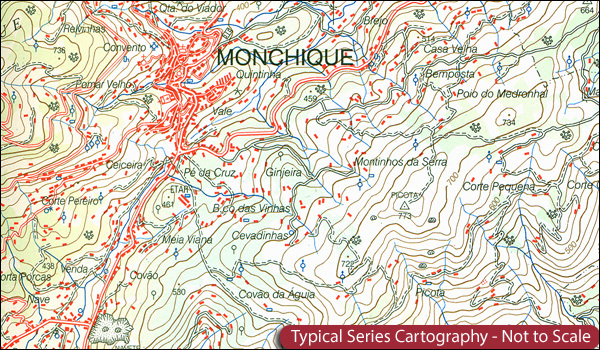 The maps have contours at 25m intervals and in addition to the standard features shown on topographic mapping at this scale also indicate various types of vegetation (vineyards, olive groves, etc). Each sheet covers an area of 32 x 20km (20 x 12.5miles approx). 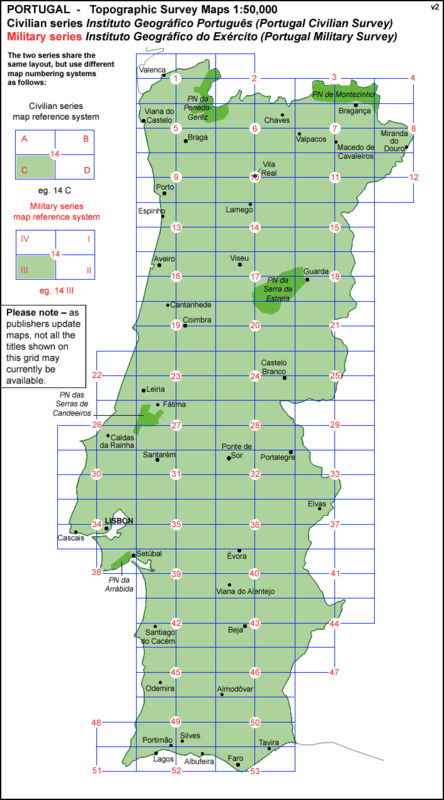 The maps have latitude and longitude margin ticks at 1’ intervals and UTM coordinates for the map corners – each sheet also shows conversion details from BBLx (Bessel-Bonnie system, Datum Lisbon) to UTM. Map legend is in Portuguese only. 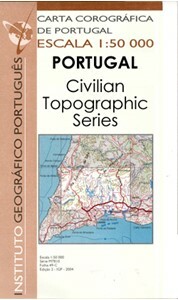 EDITION DATES: most titles in this series have now been updated in the 1990s or later. To see all the titles in this series please click on the series link.